Easiest way to get there is from highway 22. From there take SW Little Hebo Rd. (NF-2234) - near milepost 14 and next to the Suislaw National Forest sign. 45° 5'45.80"N 123°44'38.52"W.
Travel on this for about 5.5 to 6 miles. The road actually travels right near the summit. GPS works well for navigation on this one. On the summit there is plenty of room to setup antennas in several large laydown areas. 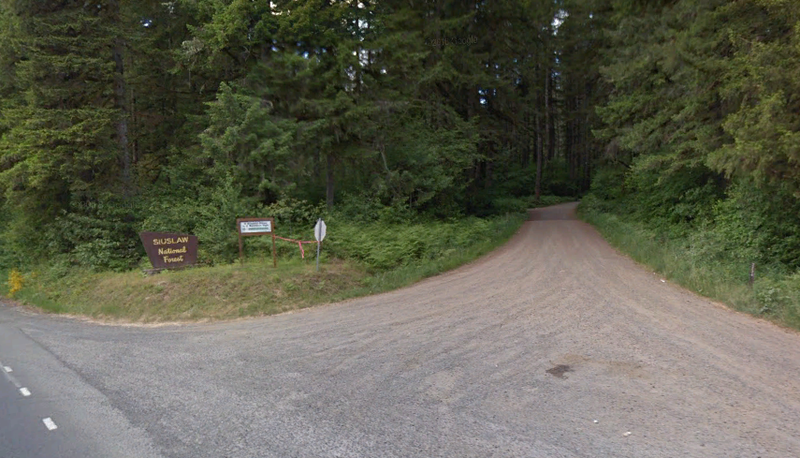 If you want you can get to Mount Hebo W7O/NC-006 from here relatively easy. From the summit continue on SW Little Hebo Rd. for about .75 of a mile. You will come to an intersection stay left. Road will make a sharp 90 deg corner. Follow this for about 1.5 miles and will come to another intersection at 45° 9'23.30"N 123°44'3.06"W. Turn left and travel 2.4 miles to another intersection at 45°10'38.37"N 123°43'35.06"W. After a .25 mile stay left. After 1.4 miles turn left on NF-1428. This will lead you to South Lake. There is a small campground here if you would like make it an overnight. After you pass the campground you will come to another intersection. Stay left on NF-14. Continue on this and it will lead you to the top of Mount Hebo.